An online store integrated into your website creates a tremendous advantage due to its 24-hour accessibility. 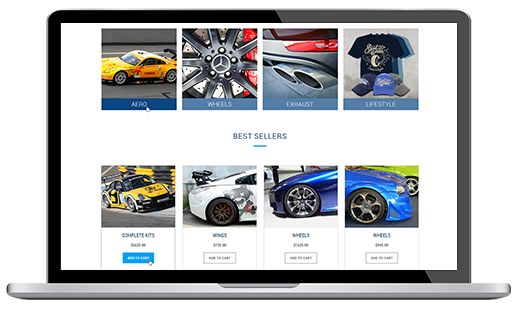 With a fully functional design, your online store will work for you. ABC Computers will develop secure and user friendly shopping carts that will allow your business to gain maximum transactions and your customers to benefit from an enjoyable shopping experience. The team at ABC Computers will make sure your online store is marketed strategically in order to reach your customer base so that you have the potential of solidifying higher profit margins. Let the ABC Computers team improve your sales through an effective online store. Call us at 313.871.8711.